Please pay for your session with Alexandra here. We will contact you to set up a time and date for your appointment. I have been a spiritual teacher and healer for my years yet when I became unable to clear some known blockages on my own I turned to my friend Alexandra because of her love for her clients, work and Prime Creator. As I surrender to her process I felt my back and knee pain disappearing while in the session. During my dream state I found myself declaring that I was done with the drama and pain that was the cause of the source of my ailment. I will continue seeking her help in removing any energetic disturbances that will show up in my field. Thank you for your master healing session and reconnecting me to the Prime Creator. You really do have a gift for seeing, knowing and healing. What an amazing clearing! That session to clear my relationship with a co-worker happened so quick and I feel complete peace. There is no more chaos and friction during my interaction with that co-worker. Alexandra and Prime Creator, thank you, for all that you do. I am so grateful! I look forward to my next clearing session with you. IF YOU’RE LOOKING FOR A SIGN, THIS IS IT. Throughout my 21 years of living, I have received many forms of alternative healing from chiropractors to acupuncture to energy healings and the like. I’ve never been one to be able to feel the effects of these healings, especially when it’s been an energetic healing or someone that’s not hands-on. I don’t think these past healings were strong enough for me to feel. This is completely different with work from Alexandra and The Creator. I can feel the healing and it’s strong and powerful. It’s crazy….but I know this is helping me. I’ve had chronic back pain for 7 years now and I’m truly feeling an improvement in not only my physical state but also mental state of mind since being treated. She’s helped my mother with direct sessions and my brother as well. I wish everyone could be healed by Alexandra, The Creator and their team. IF YOU’RE STRUGGLING IN ANY WAY, PLEASE LOOK INTO SCHEDULING AN APPOINTMENT. It’s all pretty wild, but the healing effects are legit. P.S. I’m writing this completely because I want to! This is not a paid endorsement. Thank you, Alexandra and Prime Creator for today’s awesome healing. The transformation is subtle but I feel different. I feel lighter. I feel more connected to both of you. Yes, including you Prime Creator. I know that I’m still releasing because since our session, I have had several times today where I was crying. Crying has always been a great indicator for me where I am cleansing, releasing, transforming, transmuting. I love it! This is great!! Prime Creator, thank you for your great love for me. I’m so grateful. 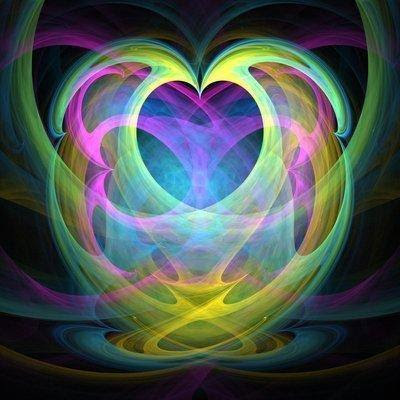 Sending everyone at Galactic Connection much Love and Light! Oh my Alexandra, my dog Brie has come so far since last nite! She slept all nite – me too! I fed Brie by syringe this morning – she started drinking water and likes fruit & veggie drink. The stools were formed and no blood! Tonight I made chicken and rice for her. She ate the first serving. Tomorrow afternoon I am scheduled to take her for saline solution (under skin) at 3pm. I was so surprised to see how she reacted to your voice last nite. Although she has a ways to go, this was a Miracle!! I am so appreciative of how you have helped both of us along with Prime Creator!!! I am grateful!!! Talk at 1:00 tomorrow. I wanted to tell you how much I feel a shift. It’s subtle and yet not so subtle. Hard to explain but I know something has opened up and there is something different about how I experience myself. After the reading I was barely able to focus on anything and stopped working as much as I could. I ended up watching a movie and vegging. Probably I should have slept but I just was in the strangest place inside myself. However, today, two people came to my home for chiropractic adjustments and I had a very different experience – a more profound experience – in my work. It was as if a pathway of my gifts that was already opened, opened wider. It wasn’t really new and yet it was. I know I’m not making sense. I am doing what you said – go up to the Creator and ask Him to send my guides to help me. I love that! I’m ready for another session as soon as possible. Thank you so very much! I am honored that we have connected and can’t wait to connect even more. It’s like coming home just to know some of the things you told me. As they say, truth is stranger than fiction and the truths you revealed truly empowered me! Hi Alexandra! Just wanted to give you an update. After being healed I usually go through a shift in energy where I hate everyone and am very easily irritated so I tried to be more conscious of that this time which helped. I’m pretty sure I felt things moving around in my back and the scapula area and rib are feeling better. I’ve been sleeping better and my dreams haven’t been affecting me as much so this is all great! Been having faint headaches lately which is unusual but that could be from anything/everything happening. Overall I’m in good shape to take on my last week of school before break! Alexandra’s Quantum Un-entanglement sessions go straight to the core origin of your continuous loop issues that you have brought to every lifetime. She helps me clear my entanglement loops so I can deal with the issues without having them return. I feel loads lighter and confident. Hi Alexandra, this clearing meant a lot to me because it resonated with my consciousness. It seems part of me knows this. I can feel some clearing already in my head and part of my body. I feel i am getting my body and health back in its totality. Hope this resolves kidney, bladder, liver and skin issues. I would like a full scan and healing session again in the future. I’ve noticed that the redness and temperature in my face and neck has gone down a lot. Also I’m getting the feeling that energy is flowing better throughout my body. I’m so grateful for you and PC. Thank you. About one month ago I had a healing session with Alexandra and Creator, as I was experiencing great pain in lower back and stiffness and pain in all major joints throughout my biological body. I am aware of how whatever is bottled up or not brought to surface and dealt with will expose itself in the physical consciousness. Like other sessions I have experienced, after there is some calming and physical drop in energy for me. I ask Alexandra what she would recommend for me in the way of essential oils and she directed me to her Egyptian Oils. I selected relaxing sleep and boost your energy. I have been using these both two times a day and have noticed a definite boost in energy especially mental alertness. Now as far as relaxing sleep, I sleep solid for about 4 hours and then off and on for another two. It was on Monday September 24th. I had a huge break through, it was the first day in a very long long long time I was able to go to work and had no physical pain in my back or joints, this was how the whole week went. I understand that pain can become worse before there will be relief during the healing process. My job involves a lot of bending, stretching and lifting, some which is heavy. I have also been experiencing some real strange dreaming, which I contribute to the relaxing sleep oil, this I am sure is helping with the healing of deep wounds within the subconscious. This is a thank you note to you and Love #5 P.C. for your time, detailed work, kindness and early appointment date. I felt much better afterwards and still do now. Thank you both. I’ll have some questions I’ll send later on (few days/weeks) about some stuff for the next session and I’m very curious about some stuff you mentioned yesterday too. Thank you both again and have a fabulous week! I wanted to tell you I had an incredible experience on the weekend. I was sitting in sun about 11am EST. I felt a slight pressure on my crown like a cap. I had eyes open and was looking up rolled eyes up toward my eyelashes/forehead without tilting head. What I saw was rainbow crystalline DNA strands moving and sparkling around my forehead. Also rainbow crystal cells mixed in around the DNA. In about 10 min time I was so calm energized and blissed out. I believe our session and the essences are clearing my way for that! I took two photos that day one of sun and one of myself with sun shining on my head. Could see the rays were rainbow and a green orb in sky as well as as behind sun another sun or planet had greenish tint. I am coming along in a more calm assured way. I feel new earth frequencies are hovering right over me. I wanted to know what essence to use next? Could you suggest please. You have been right on target. I’m two doses from finishing Coping With Limitations. I want to fully open the flood gates for financial abundance and have complete trust in that process occurring no doubts. It’s been dripping in I want the Dam to bust open now. Work to do with a homeless project here in my area. Need money for that for myself and others. This is long overdue, and I truly mean every word of this testimonial! I have been working with Alexandra, PC (Prime Creator) the Quantum Entanglement or “Quantum Disentanglement” modality since June 2018 and it has wonderfully changed my life. Prior to working with her, I have been struggling with issues of duality, intense, debilitating psychic/spiritual attacks for 3 years and most healers were not able to figure out what my problems were. At the time, I felt so lost, was severely depressed and even thought of ending my life. Truthfully, I was a bit apprehensive at first to start the new work because of everything I have been through, but she really put me at ease with her vast wisdom & spiritual knowledge, her unconditional love, support and passion for all the work that she does. I truly owe her and PC my life, they are REAL deal!! I am finally taking my life back and they have been able to get to the core/root of my issues in the short time we have worked together. It’s still a process but I’m finally on the road to recovery and I can finally start to breathe a sigh of relief; thanks to them! It’s a gift and an honour to work with these two, words cannot fully express my gratitude to them both for all that they have done for me. The most important thing, is that I know I have had my really tough moments in doing the work, but she never gave up on me and I know it has not been easy. I definitely and finally feel much safer knowing that I have her in my corner and I will cherish this forever! If anyone has been struggling with difficult cases, you will be safe here. I know my situation was baffling to most healers, but finally I can start to live my life of peace, bliss and joy that I have always dreamed of! I had to think a bit regarding giving my testimonial about out sessions. Since starting in May of this year, 2018, I feel that every day is getting better and better. The fog is lifting from me every day. What is upsetting is trying to get people I know to wake up. Most have never heard of chem trails or understand the importance of eating non GMO foods. I have learned so much and am looking forward to learning more and more. Actually, Alexandra is the 14th person that I have sought out and the results are life-saving. It has opened up a whole other world for me and I am so thankful every day of my life. I am so thankful to be here to experience this wonderful work in this lifetime. I thank you and Prime Creator for today’s session. I’m grateful for all the work that has been completed for me. Your conversation has opened my eyes to many things that I was unaware of. I look forward to the implant removal process for our next session. Sending you much Love and Light! I want you to know that I feel lighter after Wed session. I was very tired right after, lots of tears and slept many hours. I know I released a s*** load that is certain. I feel I’m in the chamber mostly at night otherwise hard to function. I worked Thursday felt much lighter all day yesterday and I’m home today on a sick day just to rest. I have been tuning in listening for answers or guidance as you suggest calling for PC assist to know with certainty on the financial end here. I have to trust myself more. That’s still the challenge. ……Felt a lot of release from that Wed when we did our work. Any further insight or reassurance appreciated. I thank you and PC for amazing healing work happening and I am rewriting my outcomes with your assistance. I wanted to write you a few lines to tell you that the relations with my brother have improved greatly. I honor the work you’ve done. I am sending you the theme of our next meeting. I carry you in my heart. To all that are reading this: I am so grateful and honored to be working with Alexandra with her Quantum Entanglement healings. These healings are more than amazing. They provide clarity, understanding, insight, and, in time, lessen that heavy load we carry. Don’t let this opportunity pass you by. This is the time to get it done. Today, I received a voicemail from my attorney saying that he received an offer on my case and he wants to discuss with me. I will call him back tomorrow. Thank you and thank you to the Prime Creator for a quick response to my case. I would like to thank you again for last call session we had in December. I feel better after, I am not feeling such a heaviness in my body, how I felt before. It would be great if we could continue in healing , I am very interested to continue. Looking forward to hear from you soon again.